Cypress Semiconductor unveiled the PSoC 4700 series of microcontrollers (MCUs), which use inductive sensing to detect touch inputs for products using metal surfaces.The PSoC 4700 MCUs are based on a 32-bit Arm Cortex-M0+ core and integrate programmable analog and digital blocks. The devices can support up to 16 sensors to implement digital functions or custom algorithms for interfaces in various form factors, including buttons, linear and rotary encoders, proximity sensing or free-form. The MCUs also are supported in Cypress’ PSoC Creator Integrated Design Environment (IDE), which allows users to drag and drop production-ready hardware blocks, including the inductive sensing capability, into a design and configure them via a simple graphical user interface. For more information, visit Cypress’ website. Digi-Key announced the availability of the Bantam Tools Desktop PCB Milling Machine. Milling directly from Gerber files, the Bantam Tools Desktop PCB Milling Machine handles double-sided PCBs with 6 mil trace and space. 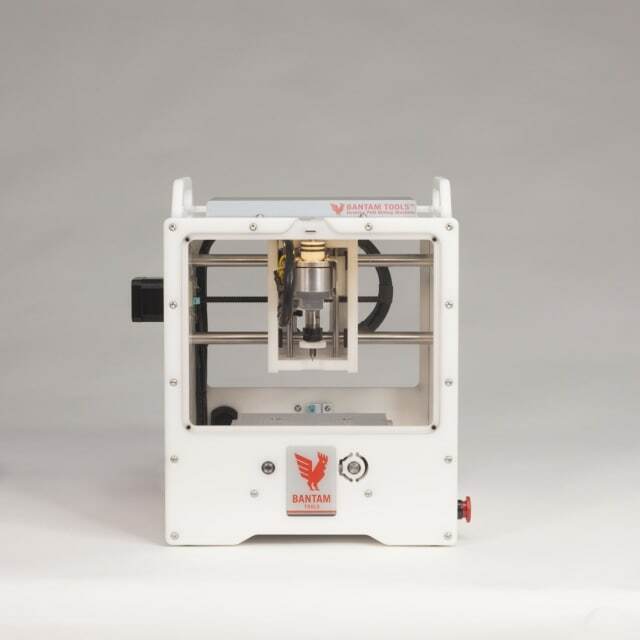 The machine provides quick iteration of prototypes in-house and eliminates the wait for deliveries from PCB fabrication houses. Information concerning pricing and availability can be found on Bantam Tools’ website. 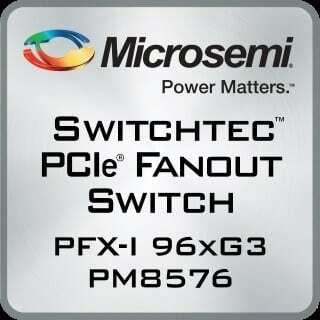 Microsemi released its Switchtec PFX-I Gen3 PCIe switches with support for extended industrial temperature ranges. The PM857x PFX-I PCIe switches support the feature set of Microsemi’s PFX PCIe fanout switches and are designed to operate in harsher environments required by applications including automation, defense, healthcare and industrial computing. The PCIe switches have passed thermal cycle testing, interval testing at various extreme temperatures and temperature humidity testing to ensure durability at different humidity levels and temperature ranges. The switches operate over a temperature range of -40 degrees C ambient to 105 degrees C junction, supporting up to 48 ports, 48 non-transparent bridges (NTBs), 24 virtual switches, advanced error handling, hot and surprise-plug controllers, dynamic port bifurcation and dynamic partitioning. RS Components introduced the Series 61 compact emergency-stop switches (E-Stop) and Series 45 industrial switches, two lines of electronic switches that provide machine safety control in various industrial applications. Designed to protect people and equipment against injury and damage, the Series 61 E-Stop is suited for use in handheld control units. Alternatively, it can be mounted within easy reach or directly on to a machine. 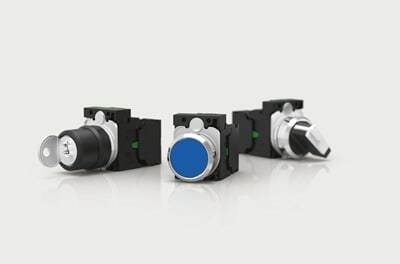 The Series 61 also has a mono-block design, as well as a green indication ring to show switch actuation, and is trigger action compliant with EN 60947-5-5 and EN 13850. Other features include a compact back-panel depth of 21.2mm and optional high-brightness 24V DC LED, which makes the switches clearly visible even in low-light levels. Additional technical specifications are available on RS Components’ website. Synopsys announced a collaboration with TSMC to develop DesignWare Foundation IP for TSMC’s 22-nm low-power and low-leakage processes. DesignWare Foundation IP, including logic libraries, embedded memories and one-time programmable (OTP) non-volatile memories (NVM) on TSMC’s 22-nm processes, lets designers reduce power consumption while meeting performance requirements. The DesignWare HPC Design Kit allows SoC designers to optimize their central processing unit (CPU), graphics processing unit (GPU) and digital signal processor (DSP) cores for an optimum balance of speed, area and power. In addition, the DesignWare OTP NVM IP for TSMC’s 22ULP and 22ULL processes does not require additional mask layers or process steps and provides high yields and security in a small footprint.